Do you need help right now so that you can navigate relationships more successfully? Do you need more peace and wish you had a marriage coach or divorce coach who whispered in your ear? Do you need a mediator to keep your family together? Susan Allan is a world-renowned life coach and relationship coach offering unique tools and skills and dating advice to create and transform marriages and all relationships. Since 1975 Susan has devoted her life to acquiring proven tools and developing a unique system, Heartspace®, so that you can learn to create greater peace, love, cooperation, joy and success in every relationship and environment. Susan says, “I’ve spent $1 million on workshops, intensives, seminars and trainings so that you don’t have to!” If you're looking for intimacy skills to create a new relationship or relationship advice to improve your partnership or or a successful mediation for your relationship or marriage Susan offers one complimentary telephone session to discuss your needs. An expert in various Western and Eastern methodologies Susan is a certified mediator of the Los Angeles County Bar Association, she is certified in the Herrmann Brain Dominance™ thinking styles used by 90% of Fortune™ Companies and she is an expert in Nonviolent Communication®, studying with founder, Marshall Rosenberg, Ph.D. Susan has also made 57 trips to India including attendance at The Oneness University and Susan is a meditation teacher for Sixth Star cruises. Now she trains and support you to navigate relationships and find the lifelong love that you desire with her skills as a world renowned dating coach; marriage and divorce coach and certified mediator. Susan Allan’s Heartspace® has been compared to the Rosetta Stone for communication; the starting point for all peaceful and effective connections between people whether they are partners, lovers, coworkers, neighbors, friends or family. The Rosetta Stone is a “clue, breakthrough, or discovery that provides crucial knowledge for the solving of a puzzle or problem.” according to www.dictionary.com. Students of Heartspace® learn to create peaceful communication within all relationships, cultures and religions, even in war-torn marriages and families. Marriage and divorce coaching can offer you the 180 degree transformation that you have only hoped would be possible for you. Millions have received training through Susan Allan’s websites including this one and www.susanallan.org; www.thedivorceforum.com. www.themarriageforum.com and www.thepeaceforum.org; and Allan's most loved training components of Heartspace® including; The 6 Part Conversation©, The 7 Stages of Life©, The Plateaus of Peace©, and Goal-reaching© Skills. Susan is also the author of 3 eBooks, 101 Divorce Secrets, A Survival Guide, The Marry-Go-round or How to Save your Money, Your Sanity & your Life!, and "The Best of Ask the Love & Relationship Coach: Including the Basics of The Heartspace™"
Susan’s commitment to supporting others to navigate relationships, find lifelong love, peace and cooperation began with her desire to give back after her own extremely successful life as an entrepreneur in the fashion industry, managing countless clients and employees and selling more than $500,000,000 of her designs and products with various sales teams. Susan offers intimacy skills and relationship advice to transform all marriages based on tools she created during her own life. She received 16 marriage proposals; two on first dates and she has been married twice and teaches the secrets that make all the difference. After a life-threatening divorce in 1999 Susan committed herself to investigating what had caused the marital problems that she experienced and which have become endemic worldwide. Once she had developed the first phase of Heartspace® skills in 1999 she founded The Marriage Forum, Inc. and began offering Heartspace® skills for love, marriage, reconciliation and divorce so that “no one would ever suffer as I have without being able to find answers in a 1 hour free telephone call.” Susan Allan has been offering the numerous tools and skills of Heartspace® to thousands of private clients around the world for the last 16 years and she has also offered pro bono information to hundreds of thousands who have asked for these phone calls or for written material including 10,000 complimentary one hour telephone consultations. 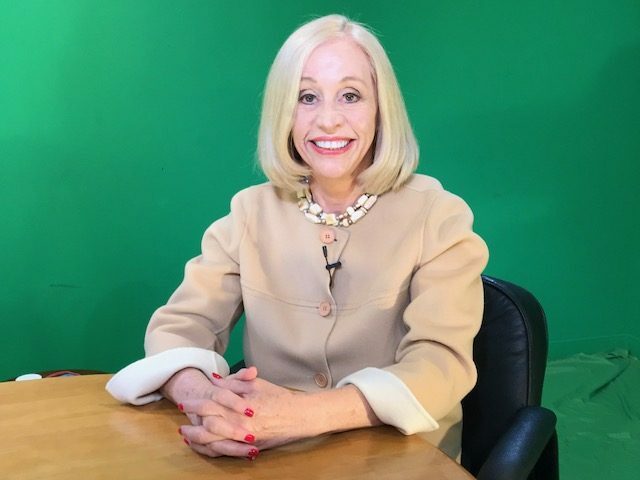 Susan Allan has appeared as a guest expert on hundreds of television and radio news programs including Fox News, The Montel Williams Show and Channel 12 in New Jersey and Connecticut. Susan’s “Ask The Divorce Coach©” column at http://www.parenttoparent.com and her “Ask The Love and Relationship Coach” column at www.sbfamilylife.com, "Santa Barbara Family Life Magazine" have each been written for the last 9 years. Susan Allan is the Executive Producer and on-air host of Evolution Revolution TV in Santa Barbara and she has been a bimonthly guest on Compassionate Connection TV for 9 years. All of Susan’s Programs include the basic skills of Heartspace® and The 6 Part Conversation© for Susan’s new video training. Heartspace® “Prodating” provides you with the deep understanding of what you are seeking in a partner beyond the obvious and superficial attributes that you seek. You will acquire the ability to see the deeper needs that are common to all humans and see which are most important for you. This new understanding will also allow you to search for, find and consider all the potential partners until you are connected to the partner with whom mutual love, intimacy, trust, and support are possible. To find out if “Prodating” is your next step please call us at 818-314-1200 to discuss all your options and allow us to support you in transforming your concerns about finding your great partner to a fabulous new relationship; your 1 hour private complimentary telephone consultation will answer many of your questions and let you know your next steps to dating like a pro! Heartspace® will teach you how to motivate and inspire your partner so that you can both live in your Heartspace® and manifest the love you have been seeking for so long! Intimacy is the most elusive ingredient in life and Heartspace is the key. You will learn to envision your most magnificent relationship and live it. You will develop the ability to ask for what you need from your partner and get it so that more love, passion, kindness, peace and financial security are yours and so that affection, intimate connection, and monogamy can be added to your committed relationship. To find out if “Magical Marriage” is your next step please call us at 818-314-1200 to discuss all your options and allow us to support you in transforming your concerns to a joyous marriage; your 1 hour private complimentary telephone consultation will answer many of your questions and let you know your next steps to your Magical Marriage. Reconciliation: How to Avoid Divorce©. Heartspace® has proven a 99% success rate in transforming marriages with Susan’s reconciliation system, How to Avoid Divorce©. When even one partner masters and uses these skills even when a couple is on the verge of divorce Heartspace™ skills transform the entire relationship by shifting from shame and blame to understanding and compassion. In that new state, the possibility to heal and love unfolds and because no one marries with the goal of divorce Susan’s clients have consistently proven that reconciliation is always the preferred outcome if the damaging behaviors cease. To find out if “How to Avoid Divorce” is your next step please call us at 818-314-1200 to discuss all your options and allow us to support you in transforming your concerns to peaceful solutions; your 1 hour private complimentary telephone consultation will answer many of your questions and let you know your next steps to reconciliation. The Divorce Forum® Mediation offers an effective alternative to conventional divorce and its high risk of unnecessary emotional and financial damage. Our mission is to provide skills and support so that people can work together to resolve their disputes while protecting the assets and well-being of the entire family. We offer pragmatic solutions and strategies proven to help minimize the pain, and the wasted time and the money spent on divorce. For many, The Divorce Forum® Collaborative Model of mediation can become a part of the healing process which helps families to fulfill their individual and joint needs before moving forward to more peaceful and productive lives. Divorce is one of the most difficult times in life, and it is also an opportunity to set the foundation for the future and to learn from the past. We are here to help you. This unique collaborative divorce model, pioneered by certified mediator Susan Allan, includes numerous unique components. To find out if Divorce Forum® Collaborative Mediation is your next step please call us at 818-314-1200 to discuss all your options and allow us to support you in transforming your concerns to peaceful solutions; your 1 hour private complimentary telephone consultation will answer many of your questions and let you know your next steps to peaceful divorce.